The Jungle Book cake from Whatever's Left is a nostalgic Disney sweet. This cake is covered in blue fondant and decorated with detailed fondant cutouts of Mowgli, Baloo, and Bagheera along with palm tress. With an amazing soundtrack and memorable characters, it's hard not to fall in love with this cake. 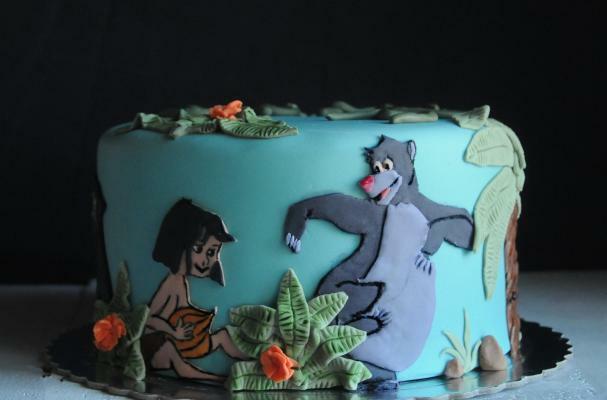 For information on The Jungle Book cake, click here.